A 30-year-old Northampton man has denied murdering a toddler. 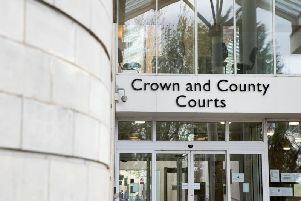 Raphael Kennedy, of Arthur Street, Kingsthorpe Hollow, pleaded not guilty to a charge of murder at Northampton Crown Court following the death of a two-year-old boy in December. No fixed date has been set for his trial but it is expected to take place in September this year. It is likely the trial will take place in Birmingham Crown Court. Police and paramedics were called to a house in Arthur Street on December 15 following reports of an unresponsive child who later died in hospital. Kennedy was remanded into custody.